'Affleck actually feels as though he could work as an aging and jaded Caped Crusader if only he had been given a version of the character who is in any way satisfying'. Central amongst the many problems to be found in Batman v Superman: Dawn Of Justice is the fact that director Zack Snyder is constantly trying to make three movies in one. The director wants this to be a sequel to Man Of Steel, a reboot of the Batman character after Nolan's Dark Knight trilogy, and the precursor to next year's Justice League, all at the same time. That Snyder fails to deliver even one of these aims in a satisfying way is a problem so colossal that it smothers any potentially redeeming features of his film. The third of his objectives in particular barely gets a look in as the director ill-advisedly attempts to do in several minutes what Marvel achieved over several films. What Snyder's version of Clark Kent/Superman (Henry Cavill) needed to have any hope of success after the disappointing Man Of Steel was a second film devoted to resolving the issues of the first and creating a character we both can and want to care about. What we actually get is Snyder inexplicably spending much of his sequel working hard to make Superman look weak, leaving the character in a pitiful state to move forward in a franchise that already feels as though it needs to hit the reset button. The problems with Ben Affleck's Bruce Wayne/Batman are different, but just as damaging. Affleck actually feels as though he could work as an aging and jaded Caped Crusader if only he had been given a version of the character who is in any way satisfying. This, however, is a Batman who viciously brands his targets, who shoots and stabs his way through the film, and who openly identifies as a criminal, but who Snyder still wants us to see as a hero. It's an approach which is at best misguided, at worst nonsensical. To give the "Ultimate Edition" its due, the 180-minute version of Batman v Superman it presents does seem to repair some of the damage done through the brutal editing reportedly seen in the theatrical cut. The first hour sets the narrative up relatively well, although by the time you reach the end of the second Snyder's focus has been almost entirely snuffed out by his relentlessly depressing comic book dystopia. 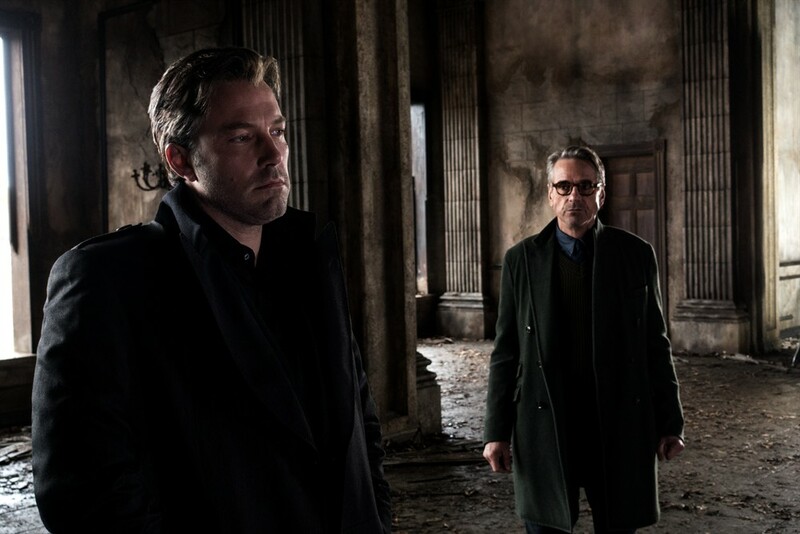 Cavill and Affleck are oppressively dour, Amy Adams' Lois Lane grows increasingly annoying, and Jeremy Irons as Wayne's confidant Alfred becomes less and less bothered about hiding how bored he clearly is. Jesse Eisenberg meanwhile delivers a divisive Lex Luthor, landing somewhere betwen Depp's childlike oddball version of Willy Wonka and Eisenberg's own semi-fictional incarnation of Mark Zuckerberg. After two hours of set-up, the superhero battle advertised in the film's title is all too brief, leaving almost another hour to be filled with the same brand of CGI-heavy action Snyder delivered at the end of Man Of Steel. The creature Batman, Superman and a hastily introduced Wonder Woman (Gal Gadot) find themselves up against is given no development before its appearance in the final act, rendering the melee at the film's climax hollow and uninteresting. If you must see Batman v Superman, it's likely that the "Ultimate Edition" is probably the better option of the two when compared to the theatrical cut, which I admittedly haven't seen nor have plans to waste time upon any time soon. In all honesty, however, there's very little to recommend here and a great many superior films tipping the three hour mark which are far more worthy of your time.